Aaron Pruitt, R.Ph, PD, has more than 20 years of Clinical Pharmacy experience working primarily in the Pharmacy Benefit Management (PBM), Health Plan, and other healthcare industries. 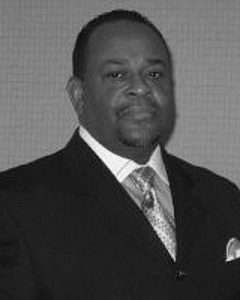 He is currently a Specialist, Pharmacy Benefits Management at Kaiser Foundation Health Plan, where he serves on several high-profile Committees for the Foundation; NCQA Standards Committee; PBM Delegation Agreements and Contracting Oversight Committee; and is also an MCO member, State of Maryland Medicaid Corrective Managed Care (CMC) Committee. Mr. Pruitt still serves as a Pharmacist Consultant to the PBM Industry. He is retained by his clients’ to identify, plan, and execute growth strategies to drive market share and decrease drug expenditures across targeted therapeutic categories. Several of his past clients include Human Capital Consultants/Consultants for the City of Baltimore Employees Pharmacy Benefits Plan, and the Dept. of Defense (DoD)/Andrews AFB, Camp Springs, MD. Mr. Pruitt is a voting member of the Academy of Managed Care Pharmacy (AMCP) and is a Fellow in the American Society of Consultant Pharmacists (FASCP). In addition, he is a member of the Washington, DC Pharmaceutical Association, the Medication Therapy Management Services Network (MTMS), and is an Advisory Board Member for Emron Pharmaceutical Company. In addition, he is on the Board of Directors, Parkway Hospitality Management. A recent accolade bestowed on Mr. Pruitt, for which he is extremely proud, was his selection to AMCP Visionary award team in 2016. Mr. Pruitt received a Bachelor of Science Degree in Pharmacy from Northeastern University in Boston, Massachusetts, his hometown. He is a certified DoD Government Contractor and is board certified as a registered pharmacist in the states of Maryland, Massachusetts, Virginia, and Washington, DC.